We were both so busy that it took about a month to schedule a first date with Cheryl. When we finally had the same evening free, she asked me if we could meet at a particular bench in front of a particular laundromat. It struck me as a strange landmark to choose, but I agreed to meet her there all the same. I arrived at the bench and she was already there. She stood up to give me a hug and then sat back down. After we spoke for a few minutes, I asked her if she wanted to grab dinner. "I'm fine right here," she said. "You aren't hungry?" I asked. "I am, but I'm staying on this bench." We talked for a little while longer. Soon, my stomach growled and I was really ready for some dinner. "No," Cheryl said, a bit sterner, "We're staying on this bench." "The whole date?" I asked. "Why would it be necessary?" She said, "I like this bench. Stop asking me about it." I suggested that we at least take a walk and she said no. I ultimately became too hungry to just sit and not eat, so I stood up and told her that I was going to run across the street to a convenience store, so I could at least grab a snack. She flipped out about that. "Why can't you just stay here with me? What is the problem? What is the problem? Just stay here." I went across the street for a bag of pretzels. 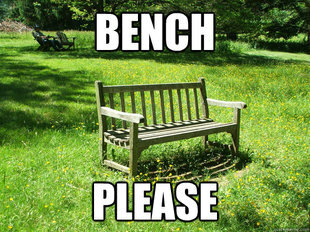 When I returned to the bench, she was gone. Thank god you got out of that situation OP. I could see it getting pretty out of hand. When she flipped out on you, I'm suprised you didn't just tell her like it was. Likely for the best. The next day it looked like this. She crapped her pants. Or at least peed in them. Hence, her affection towards the bench. 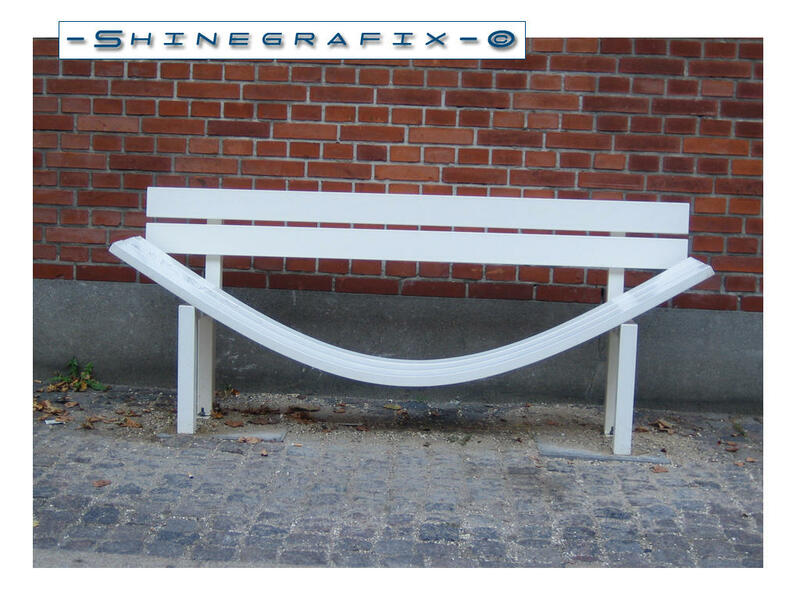 You know what kinds of people enjoy benches? Mediocre athletes and the homeless. Bullet dodged. Split Screen - or she wanted to be seen with a date by someone who regularly passes by that bench at a certain time. Architect - I tried not to say anything, but that skeleton on the bench is one of my favorite jokes (cobwebs on skeletons who wait) - and it took me all of a fraction of a second to throw my head back and laugh like a sailor when I saw it !